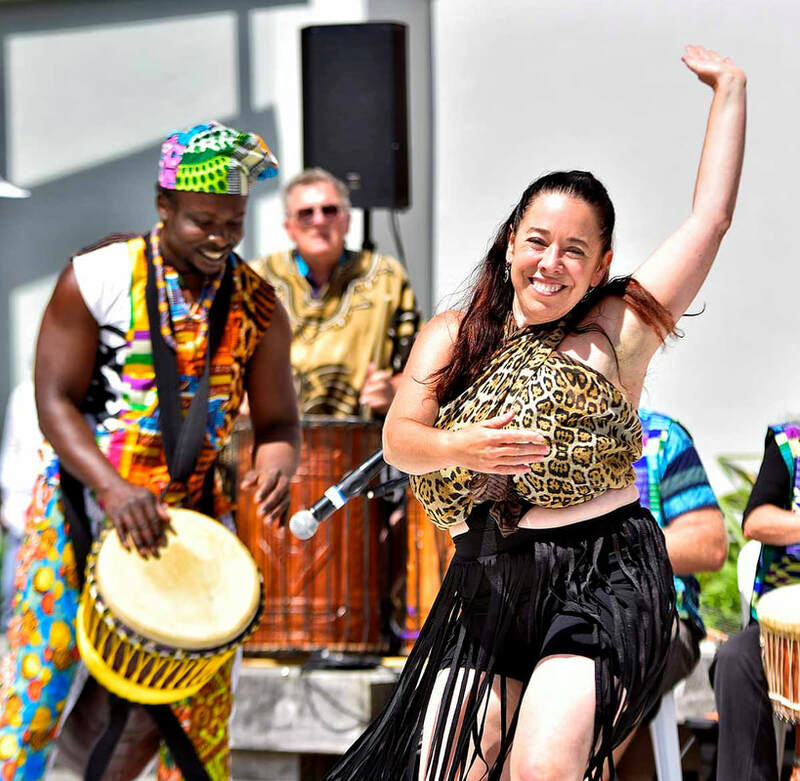 ​Weekly class led by Jenny Bloomfield, director of the Moringa Dancers. you get to dance while you drum! Have heaps of fun challenging yourself! 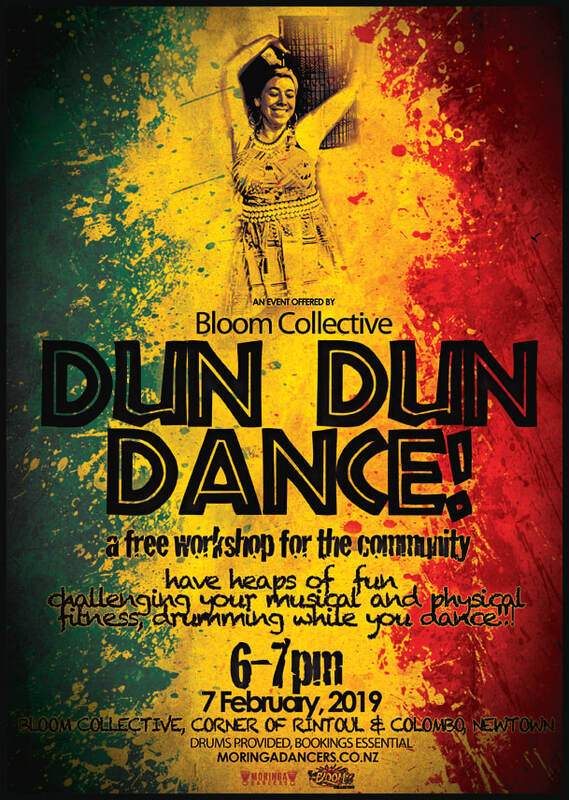 Dun Dun Dance Free Community Workshop at Bloom! Tuesdays 15 & 22 May. 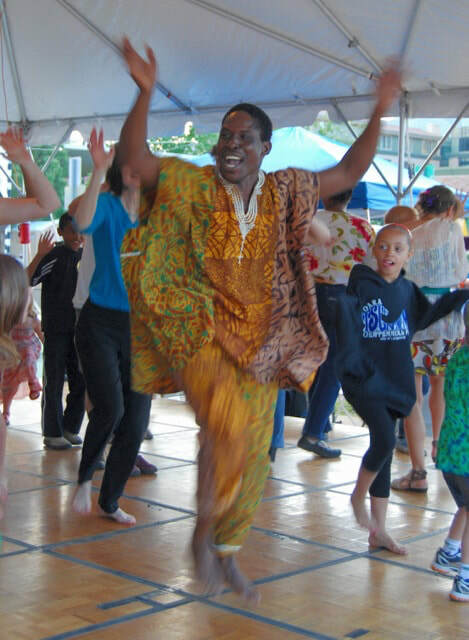 ​Maputo Mensah was born and raised in Accra, Ghana, in a family of professional musicians and dancers. By the age of five he was dancing and drumming with his family, and by the age of ten he was teaching and performing these traditional Ghanaian arts professionally. 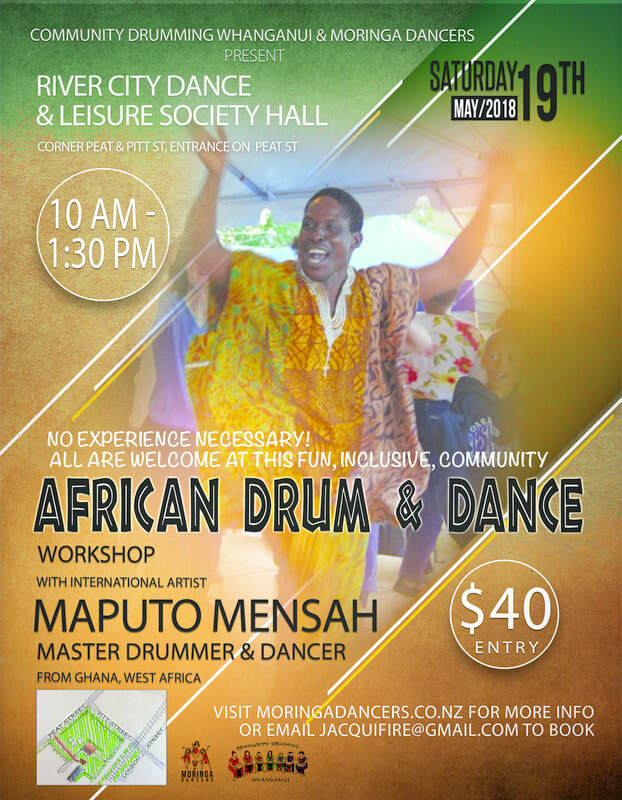 Maputo will be making a special trip north to teach the drummers and dancers in Whanganui! Get amongst it! 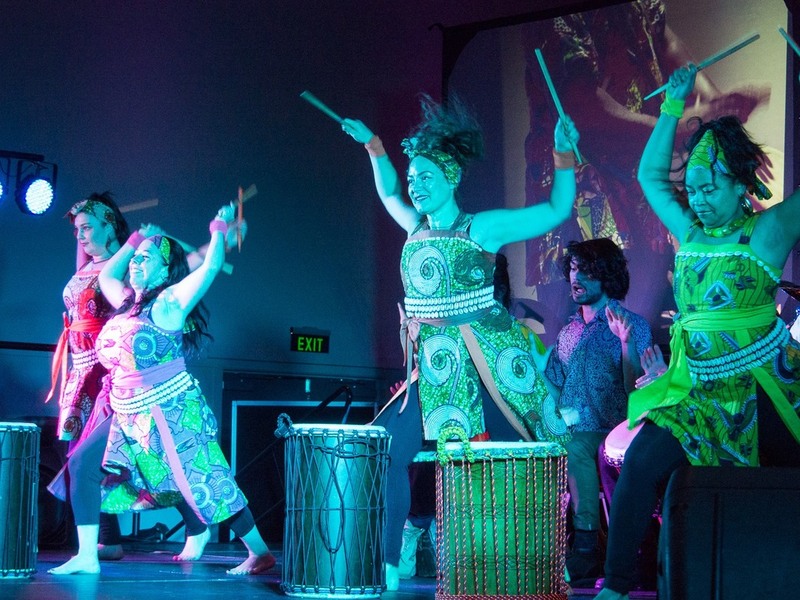 Immerse yourself in Ghanaian dance, singing and drumming with 2 inspiring talented teachers/performers and cultural ambassadors, Maputo and Koffie, at Tapu Te Ranga Marae in Island Bay, Wellington!